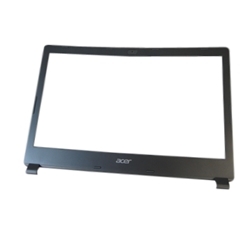 Description: New genuine Acer Aspire laptop lcd front bezel. This part is grey in color. This may be the part that you need if your existing bezel is cracked or damaged. **This is the non-touchscreen version. If you have a touchscreen laptop this is not the correct part. Compatible Part #'s: 60.MAPN7.010, EAZQK004010-1.